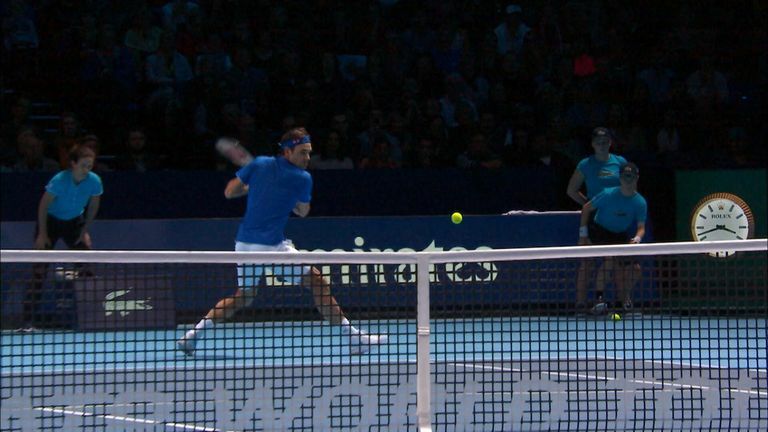 Peter Fleming and Greg Rusedski discuss the ball-boy incident during the tie-break in Alexander Zverev’s victory over Roger Federer in the semi-final of the ATP Finals. Alexander Zverev was met by boos from the O2 crowd after his victory against Roger Federer in their semi-final at the ATP Finals was marred by a moment of controversy. The 21-year-old won an absorbing encounter 7-5 7-6 (9-7) but trailing 3-4 in the second set tiebreak stopped a point mid rally after spotting a ball boy had dropped a ball at the back of the court. Umpire Carlos Bernardes had not spotted it but the point was replayed, which Zverev won with an ace before he closed out for a memorable victory to end Federer’s hopes of a 100th title in London.